I hope you are all getting excited for the start of Vegan Mofo 2014 tomorrow, as I am! I have some really delicious recipes in store for you all. My theme is titled “The Month of Many Mini Themes.” This basically means that each day of the week has it’s own theme that repeats every time that day occurs. Sundays are Sunday Brunch which is pretty self-explanatory. You’ll find lots of yummy breakfast recipes. Mondays are Meaty Mondays where I will share recipes on how to create your own vegan meatless meats! Tuesdays are Too Good Baked Goods which feature various baked items that are “too good” to be true. Wednesdays are Worldly Wednesdays in which you will travel the world tasting food inspired from other cultures. Thursdays are Thirsty Thursdays where I share Smoothies and other thirst quenching drinks. Fridays are Pizza (and pie!) Days– the best day of the week! Saturdays are Soup, Salad, and Sandwich Saturdays, where sssssssoups, ssssssalads, and sssssssandwiches are the ssssstar of the show! (I just like to talk like a snake, apparently). This is going to be a big project for me, and I also am going to incorporate it into the work I’m doing with my new school. How, you ask? Well, I know I prematurely have spoken about other schools I thought I’d be going to on the blog a few times in the past as if it was definite. I changed my mind a lot and decided against most of them. HOWEVER, I did make a final decision and have just finished the first week there. I am working with College Unbound in which I will be able to complete my Bachelor’s degree while focusing on my passion (which, you guessed it, has something to do with veganism and food). I will be blogging every day while also taking two accelerated classes. It’ll be tough to manage, but the blogging and talking about veganism will become part of a project that I tie into my classes with. It’s really exciting! My main goal is to spark positive discussion around veganism, and I hope this is a great first step at doing so! Also, as promised yesterday, I would like to speak a bit about how my Summer went. Gee, where do I begin? My biggest highlight was that I was able to use a lot of my creative skills in creating the plan for Vegan Mofo. As I may have mentioned, many of the recipes have been tested already and it’s been really tough keeping them secret for this long. Some of them even blew me away! I also started to work on a zine, but I’m not sure I’ll be able to finish it any time soon. It’d be cool, though if I could. It’s around seitan recipes. 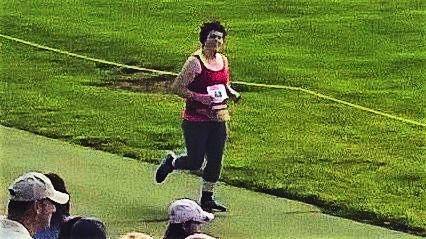 My favorite thing though, was finally running the 5K race that I had signed up for in December!! 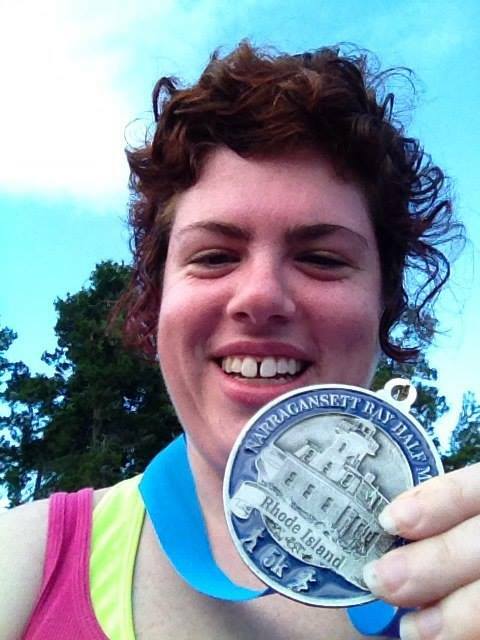 A little more than a year ago, I never thought this would be possible to finish a 5k run, nevermind in 33:58 minutes! I’m training now to run faster, and it’s going well and I love it. I hope to be able to run another 5k around my birthday (October 29). Hopefully a Halloween themed one. So, yeah, LET’S GET EXCITED ABOUT ALL THE AWESOMENESS! YEAH! See you tomorrow for the start of 30 consecutive days worth of amazing food with VEGAN MOFO 2014!! Pizza nights are the best!